Utah moved up three spots, from no. 8 to no. 5, in the Milken Institute’s 2018 State Technology and Science Index, a biannual report that measures states’ science and technology capabilities and competitiveness that contribute to high-skills job creation and economic growth. The top four states—Massachusetts, Colorado, Maryland, and California—were unchanged from the 2016 index. Utah was the only new member of the top five. “It is a promising indicator to see Utah take its place among the giants like Massachusetts and California in Milken’s reporting,” said Barbara Araneo, Ph.D., senior director of scientific affairs and emerging technologies for the Utah Science Technology and Research Initiative (USTAR). The report assesses each state’s research and development (R&D) inputs, risk capital and entrepreneurial infrastructure, human capital investment, technology and science workforce, and technology concentration and dynamism. According to the Milken Institute, the common underlying theme among states that performed well was their commitment to long-term economic development strategies and adapting programs when necessary, such as USTAR’s own programmatic shifts that occurred in 2016. “Utah has done several things that make it an innovation leader,” said Dan Berglund, president and CEO of SSTI (the State Science and Technology Institute), a national nonprofit organization dedicated to improving initiatives that support prosperity through science, technology, innovation, and entrepreneurship. “The state has made smart investments around research and development, especially around applied research centers through USTAR, encouraging commercialization and technology-transfer at universities, and supporting the growth of innovative small businesses. Utah also has built a strong talent pipeline through its schools, colleges, and career-training programs,” said Berglund. The University of Utah also led the country for commercializing university research and development. Further highlighting the importance of collaborative effort in moving Utah’s innovation economy forward, USTAR played a pivotal role in supporting numerous startups spun-out of the University of Utah, such as IDbyDNA, FARhang Wireless, Nanosynth, Majelco, Accubreath, and RefloDx, among others. While the rankings highlighted Utah’s performance in the Milken report, innovation leaders cautioned about becoming too complacent with the state’s economic performance. Keith Marmer, executive director of the University of Utah’s Center for Technology and Venture Commercialization, stressed the needed for broader, statewide support in Utah’s deep technology sectors, such as life sciences. “The rankings are fabulous,” Marmer said in an interview with Deseret News. “Utah’s tech sector is booming and our Silicon Slopes’ companies are thriving…with the big Qualtrics deal just the latest evidence of that. Marmer also stressed the need to ensure Utah is not losing tech talent to other states with strong innovation economies. “[W]hen you drill down, you want to know where the next great entrepreneurs are coming from. We want to know that our bench strength is growing,” he said. According to a Department of Workforce Services report released earlier this year, Utah tech wages are lagging behind, even when adjusted for cost-of-living differences, against cities such as San Francisco and San Jose in California; Raleigh, North Carolina; Austin, Texas; Seattle; or New York. “If people are getting pulled out of Utah, where is that next wave of talent coming from? We have a strong base but we can’t get complacent about it,” stressed Marmer. Dr. Araneo of USTAR emphasized the need for Utah to remain diligent and proactive in identifying future opportunities for technology growth. “USTAR is proud of our role in promoting long-term strategic development of Utah’s deep tech economy,” said Araneo. “To sustain Utah’s prized position in the innovation economy that was highlighted by the Milken report, it is critical that we build on our successes and improve where there are gaps in the ecosystem, especially for deep tech industries. We need a comprehensive, diverse, state-wide strategic plan that fosters growth in all of Utah’s tech sectors. To view the full report, visit HTTP://STATETECHANDSCIENCE.ORG/. Salt Lake City―World Trade Center Utah (WTC Utah) and the Utah Governor’s Office of Economic Development (GOED) hosted Mr. Saud Al Nowais, commercial counselor for the United Arab Emirates (UAE) to the United States of America, and Jonathan Garon, director of commercial affairs for the Trade and Commercial Office at the Embassy of the UAE, for a business tour of Utah on Dec. 6 and 7, 2018. Mr. Al Nowais, one of the diplomats who represents the United Arab Emirate’s economic, trade and investment interests in the United States, focuses his work on assisting countries in identifying mutually beneficial trade and investment opportunities. Serving as the gateway to the Middle East, the UAE purchased more than $20 billion in imports last year from the United States. Hoping to diversify their economy and, particularly, trade and investment in the United States, the UAE diplomats visited Utah to identify potential investment and partnership opportunities. In addition to meeting with more than 30 of Utah’s top companies in the energy, investment, tech and biotech industries, the diplomats met with Gov. Gary R. Herbert to discuss strengthening UAE-Utah ties through increasing trade, investments and visits between Utah and the UAE. Further exploring Utah’s tech scene, Mr. Al Nowais and Mr. Garon met with biotech companies at Recursion Pharmaceuticals for a business roundtable discussion and a tour of the new facility. Recursion, which recently opened an expansive new R&D facility in downtown Salt Lake City, is a recipient of investment from Mubadala Investment Co., an Emirati sovereign wealth fund. GOED and BioUtah helped organize the meeting at Recursion and believe that the UAE is a top destination for pulling capital to invest in Utah’s up-and-coming life science companies. Utah’s energy industry was also an important topic during the diplomats business tour of Utah. The Utah Governor’s Office of Energy Development, in partnership with WTC Utah and USTAR, organized a tour of Brigham Young University’s state-of-the-art Engineering Research Lab, which contains a variety of industrial-scale combustion equipment, wind tunnels, and fuel engines. More than a half-dozen companies then presented technology solutions that spanned carbon capture and sequestration, energy storage and data, smart pump jacks, oil shale, and materials manufacturing. Utah Governor’s Office of Economic Development, Utah Governor’s Office of Energy Development, Utah Science Technology and Research Initiative, A6, BioUtah, Blyncsy, Church and State, CibusDx/ApolloDx, Clene Nanomedicine, Inc., Colliers International, Cosmas, Inc., Cross Creek Capital, The Cynosure Group, Dorsey & Whitney LLP, Kickstart Seed Fund, Leavitt Equity Partners, Lucidpress Software, Magnum Development LLC, Majelco Medical, Inc., Mercato Partners, Merrill Lynch, Navigen, Inc., Optisys, OxEon Energy LLC, PEG Development & Capital Partners, Peak Capital Partners, Peterson Partners, ProLung, Recursion Pharmaceuticals, Red Leaf Resources, RodMax, Sustainable Energy Solutions, Savage Services, Signal Peak Ventures, Sorenson Capital, Tech TAC and Vutiliti, Inc. The first two companies are planning to present in person at the Keiretsu offices conference room, and the last company (Majelco) will present via GoToMeeting web conference. I have attached the executive summary and investor slide deck for each company for your preview to prepare for this meeting. Given the packed agenda, please be prompt at joining the meeting at 4:00. Since we have three companies this month, the meeting will last until 6:00. Please remember to only enable one microphone if there are more than one device accessing the meeting in the room (otherwise there will be feedback), and to mute your microphone when not speaking so that background noises do not disturb the web conference. Last month, as part of a business tour of Utah, World Trade Center Utah (WTC Utah) welcomed diplomats from the United Arab Emirates, Mr. Saud Al Nowais, commercial counselor for the UAE to the United States and Jonathan Garon, director of commercial affairs for the Trade and Commercial Office at the Embassy of the UAE. The delegation met with state agencies and other economic development stakeholders to discuss foreign direct investment and other business opportunities in Utah. As part of the visit, the Utah Science Technology and Research Initiative (USTAR) welcomed the delegation to the USTAR Innovation Center, where the group toured the state-of-the-art incubator and met with USTAR-supported companies. The UAE has a diverse economy with promising opportunities for Utah companies in a variety of industries. In particular, growth in UAE’s energy, aerospace/defense, life sciences and transportation industries complement Utah’s growth facilitated through USTAR. During their visit to the USTAR Innovation Center, Mr. Al Nowais and Garon met with Blyncsy, Optysis, OxEon Energy and Majelco Medical, all companies supported by USTAR, highlighting Utah’s diverse startup innovation economy. Blyncsy, a big data startup in the smart cities sector, is developing technology to anonymously capture and visualize data on people’s driving habits and trends. The company’s proprietary Smart City sensor and traffic platform could be used to monitor real-time congestion issues in the UAE’s capital, Dubai, one of the fastest growing cities in the world. Additionally, Blyncsy’s technology—which is used by Sundance Film Festival, the Utah Department of Transportation, and others, to reduce traffic congestion and hazards—could be used in Smart Dubai, an initiative founded by His Highness Sheikh Mohammad bin Rashid Al Maktoum to make Dubai the most technologically advanced city in the world by 2021. Optisys, which produces 3D printed antennae with improved communication performance and reduced weight, has technology that could support UAE’s growing importance in the Middle East as a hub for civil and commercial aerospace activities. Since the UAE Space Agency (UAESA) was founded in 2014, there has been an increased need for innovation aerospace technologies, including those like Optysis, which focuses on telecommunication satellite solutions. OxEon Energy’s technology uses solid oxide electrolysis to produce oxygen from carbon dioxide has implications for the UAE’s growing interest in space. OxEon Energy’s technology is already set to be tested in the next NASA rover to Mars mission in 2020 as part of the Mars Oxygen In-Situ Resource Utilization Experiment, better known as MOXIE. OxEon Energy’s technology can be utilized by UAESA and the Mohammed bin Rashid Space Centre (MBRSC) in building their own unmanned probe spacecraft that can orbit Mars to further study its climate and atmosphere. Majelco Medical is developing a disposable blood capturing device that precisely measures blood loss during surgery. With one of the fastest growing healthcare infrastructures in the world, health expenditures in the UAE were nearly $17 billion in 2017 and are projected to rise to $21.3 billion by 2021 according to Business Monitor International (BMI). Majelco’s technology that ensures accurate blood replacement for the patient and avoids complications from over-replacement offers promising applications in the UAE’s medical device market, which is working to keep pace with the country’s expanding healthcare infrastructure. “The company has enormously benefited from our association with USTAR, both in terms of access to events, consulting professionals, meetings and other exposure, but also from a funding and validation perspective,” said Timmy Chou, chief financial officer for Majelco. “The vetting and engagement with USTAR is seen as a validator, marking the company as worthy of further investigation by partners, investors and technology users. Over the coming months, WTC Utah and USTAR hope to build on the success of last month’s meetings and will continue to pursue opportunities to build upon the conversations held with USTAR-client companies and the UAE. 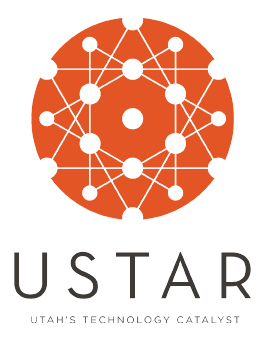 To learn more about USTAR-supported companies, visit USTAR.org. 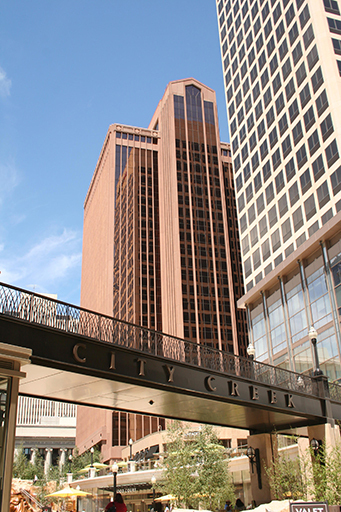 To learn more about other international business opportunities and events in Utah, visit WTCUtah.com.